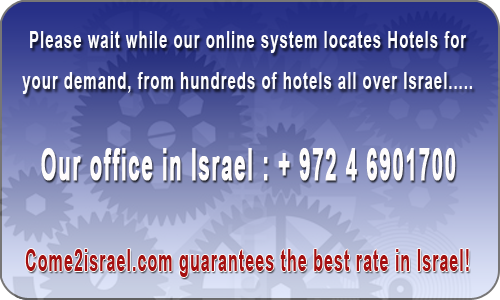 Last week Fabric Hotel Tel Aviv had 637 viewers and 10 bookings. Among the shops of fabrics, textiles and sewing products, in the heart of Nahalat Binyamin Street, is the Fabrik Hotel. The building, used decades ago as a sewing factory, has become a 43-room hotel for people who love the nightlife and holyday. The Fabrik Hotel in Tel Aviv, part of Atlas Hotels Chain, is not only a hotel but an overall experience. On the entry level is Cafe Bushwick, the bar named after the trendy neighborhood of New York, with a combination of Brooklyn influences with Tel Aviv. The hotel rooms have been designed to allow guests to go to the heart of the public spaces and return to the warm and pampering room with the room-style furniture, a refined glass partition separating the bedroom from the bathroom, the TV with a built-in Netflix app and a Nespresso coffee machine. The roof of the hotel is a quiet green valley, filled with hydroponic vegetation that surrounds its walls and overlooks a crude urban landscape. Free Wi-Fi is available.